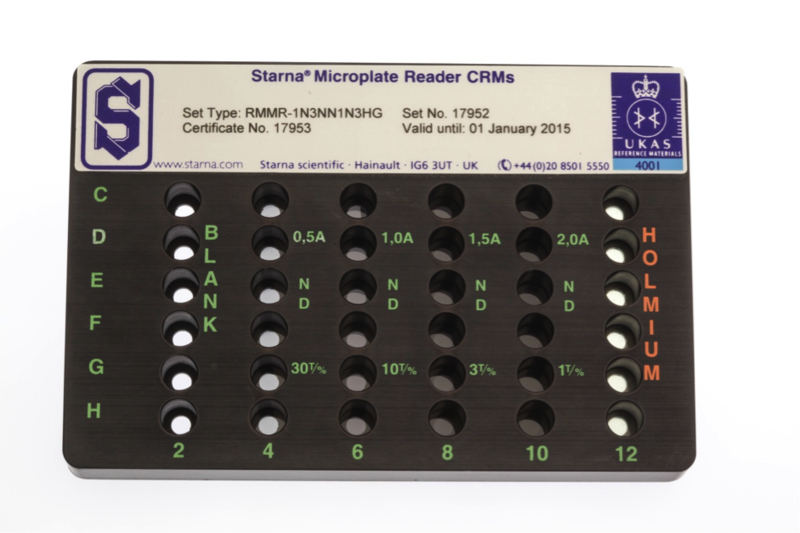 Starna’s universally accepted spectroscopy CRMs, customised for the performance qualification of plate readers. A plate reader adaptor is also available to enable the use of conventional Starna liquid cell and solid filter references in plate readers. 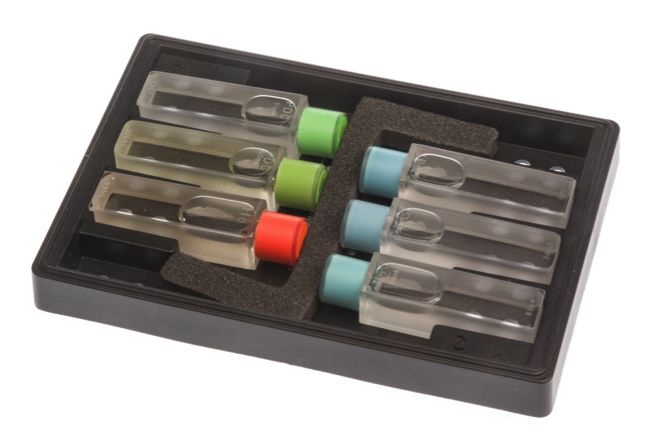 Contains six heat-sealed liquid CRMs in a black anodised aluminium microplate. Potassium dichromate solution is used as an absorbance reference, and holmium oxide solution as a wavelength reference. Of identical configuration to the liquid cell microplate references, but contains Starna NIST traceable glass filter CRMs instead of the liquid cells. For absorbance, neutral density filters are used, and holmium glass for wavelength. 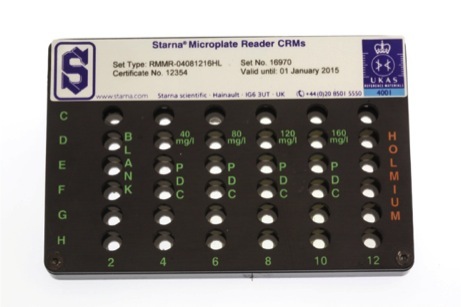 This convenient device allows Starna standard format liquid cell or filter CRMs to be used with plate readers.